These questions are designed for 1.OA.A.1. 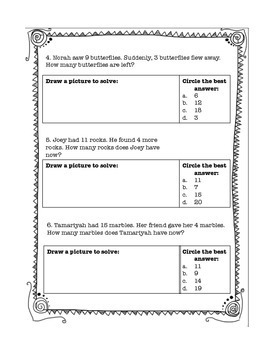 They are addition and subtraction word problem questions for 1st grade. 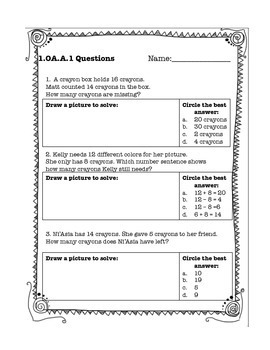 There are a total of 6 word problems, boxes to students to illustrate each word problem, and multiple choice selections. This could be used as an assessment, independent practice, pre-test, formative assessment for data, etc.